I started Couture Bridal Photography as an affordable option for brides and grooms throughout South Florida seeking the best Wedding Photography at affordable pricing. Couture Bridal Photography is still the best rated Wedding Photography studio in South Florida offering award winning Wedding Photography as real world prices. My approach to wedding photography is quite different from the vast majority of Wedding Photographers in Florida. I started photography when I was 16 years old when there was only film. Noting how to properly expose images and understand lighting were the keys to perfect images. While most Wedding Photographers take thousands of photos throughout the course of a Wedding day only to spend house editing and selecting usable images, I continue to photograph as if I was a working with film. Getting my images perfectly in-camera is what helps define me as an artist versus a photographer. The responsibility and challenges that face a Wedding Photographer during the course of a wedding day is unfathomable. Having to work in unpredictable lighting in uncertain environments while on a tight schedule and tons of emotions on edge is definitely not for everyone. Being one of South Florida's top 20 Wedding Photographers and being listed among the top 3 Wedding Photographers in Fort Lauderdale has allowed me to become one of the most sought out Wedding Photographers in Miami and Key Biscayne. I have had the great fortune of photographing Weddings at the Ritz-Carlton Key Biscayne. Being one of the most selected Wedding Photographers that serve Key Biscayne on Engagement Photography Sessions and Wedding Photography assignments has been a very humbling experience. Another aspect of my Wedding Photography business is to create a Wedding Photography experience with a very personal customer service oriented focus. I want each and every bride to have the most amazing Wedding Photos to remember their wedding day. More Importantly I want my couples to be relaxed and have fun during their wedding day. What makes Couture Bridal Photography the best Best Wedding Photographer in Key Biscayne for Wedding Photography? 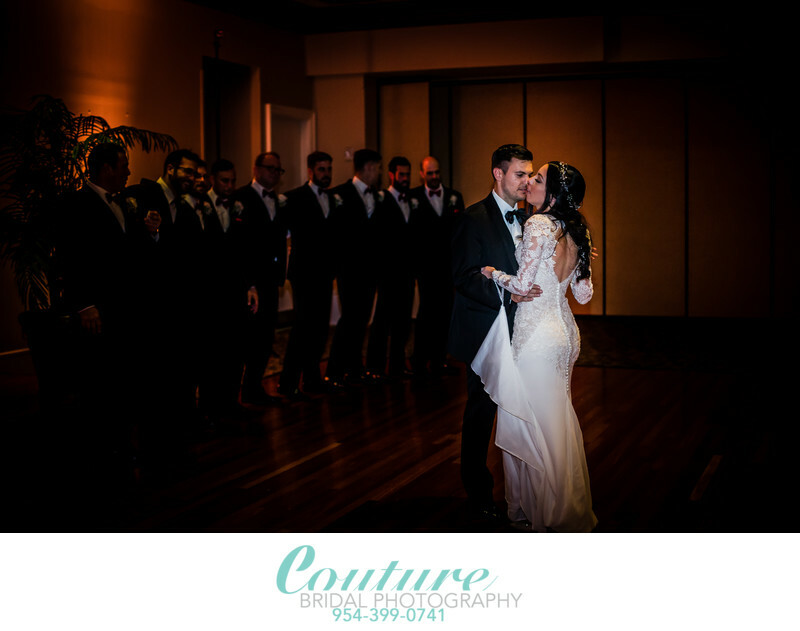 What makes Couture Bridal Photography the best Wedding Photographer in Key Biscayne for Wedding Photography is our distinct and artistic style of Wedding Photography. I've taken photojournalism, editorial, illustrative and glamour photography along with advance lighting techniques to create spectacular wedding images that have depth and texture. This style of photography is highly reflective of a time when still images were captured on film. Film had a depth and texture that displayed color in a natural yet vibrant fashion and till this day looks best when printed especially on metallic print paper with a matte finish. Couture Bridal Photography also offers professional printing and wedding albums exclusively by Graphistudio, which are hand made in Arba, Italy. Location: 455 Grand Bay Dr, Key Biscayne, FL 33149.